SEATTLE – (April 24, 2018) — Virginia Mason has again earned an “A” in the Leapfrog Hospital Safety Grade, maintaining the distinction as the only hospital in Washington state to receive an “A” in every grading cycle since the program began in 2012. Virginia Mason is also among just 49 hospitals across the nation to have received straight “A’s” in the Leapfrog program. The grades are issued in the spring and fall every year. 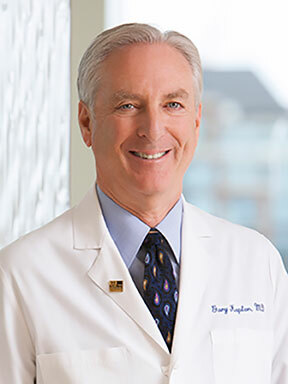 “This recognition by The Leapfrog Group affirms that our focus on quality and safety is making a difference for the patients we serve,” said Virginia Mason Chairman and CEO Gary S. Kaplan, MD. An example of Virginia Mason’s focus on safety is its innovative Patient Safety Alert system, which empowers all employees to immediately submit alerts when they see anything that poses a hazard or could become a safety concern. Founded in 2000 by large employers and other purchasers, The Leapfrog Group is a Washington, D.C.-based nonprofit organization driving a movement for giant leaps forward in the quality and safety of American health care. It assigns grades of A, B, C, D and F to hospitals based on their performance in preventing medical errors, infections and other harms. Developed under the guidance of an expert panel, the Leapfrog program uses 27 measures of publicly available safety data to grade hospitals. Learn more about the Leapfrog Hospital Safety Grade at www.HospitalSafetyGrade.org.